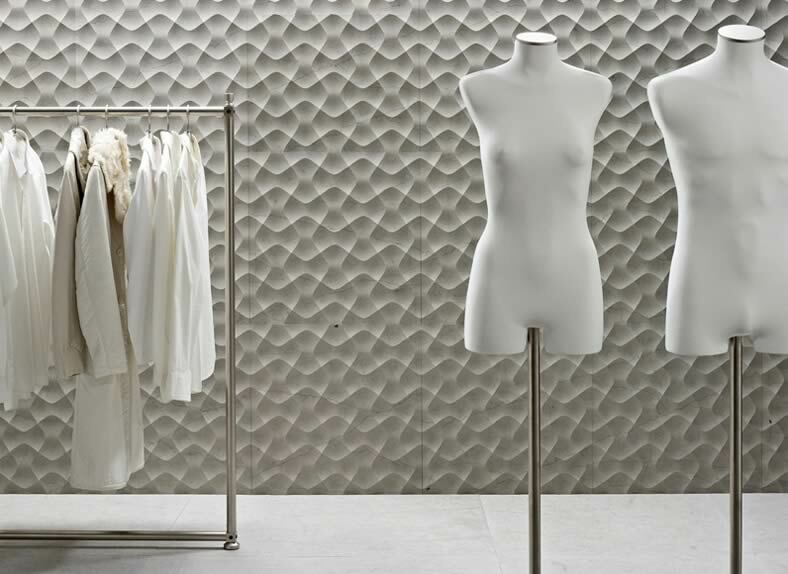 For a unique touch to your home, these curved and etched wall tiles will do just the trick! 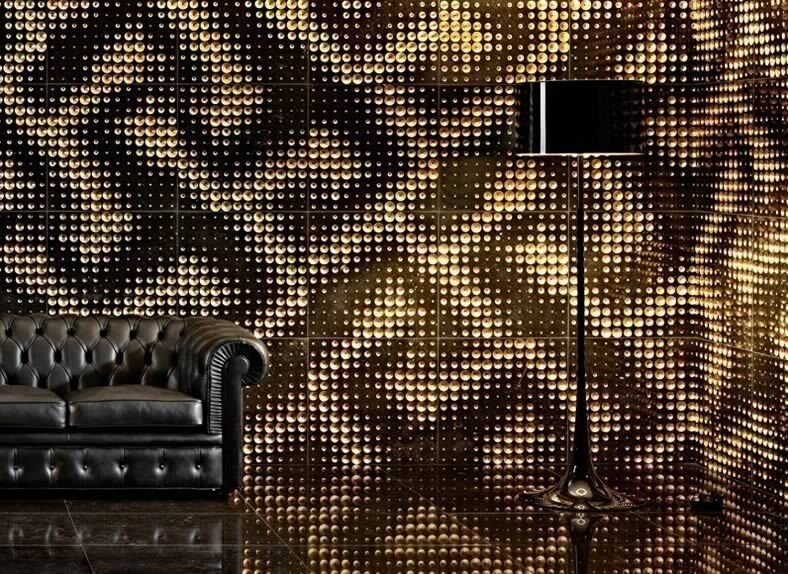 Made by Italian design company, Lithos Design, these designs are definitely an unconventional and unexpected way to finish a room. Featured above is the new Favo Curve design. 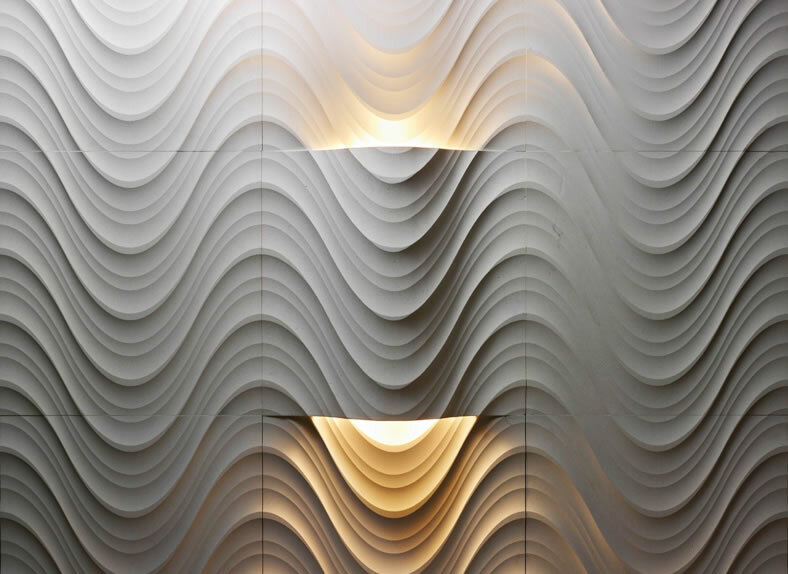 Not your typical tile, both in terms of material and aesthetic. 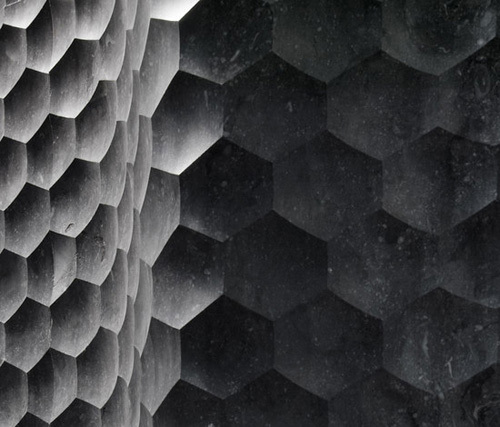 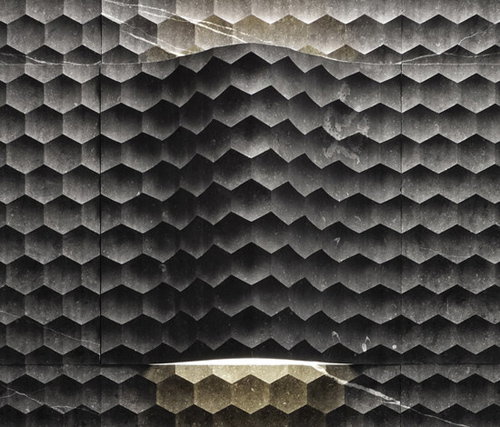 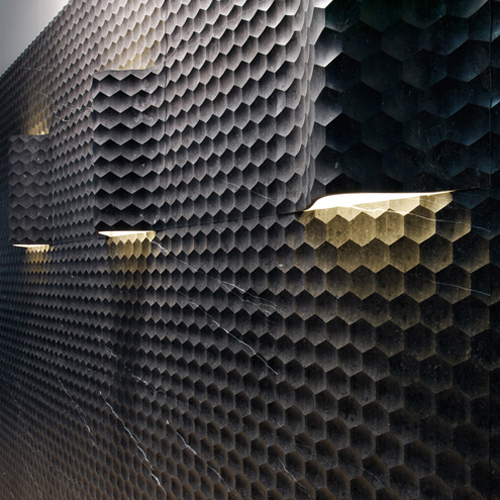 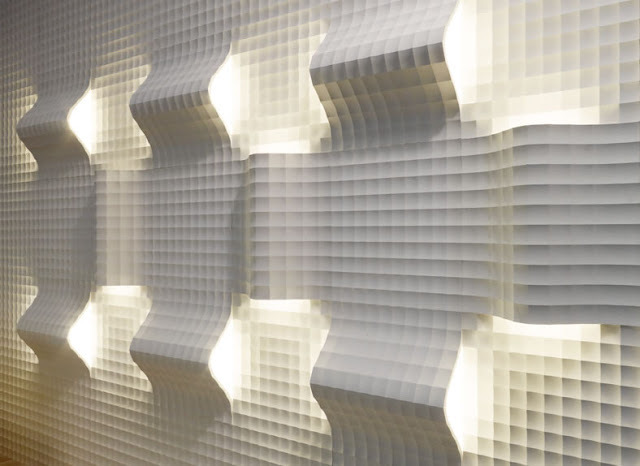 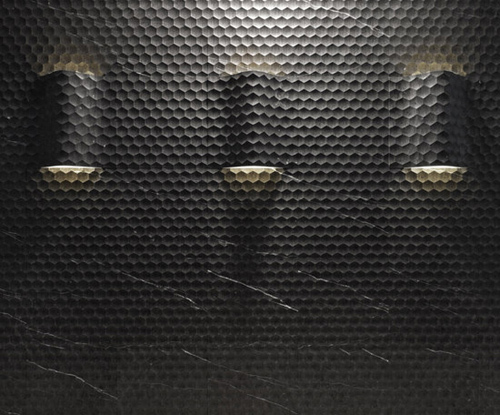 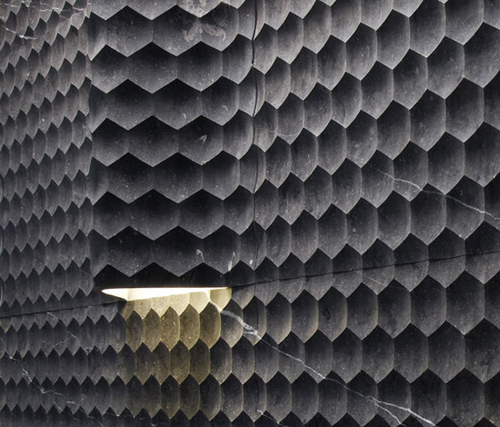 The modern 3D design of smaller concaved hexagons combined creates a trendy honeycomb effect. 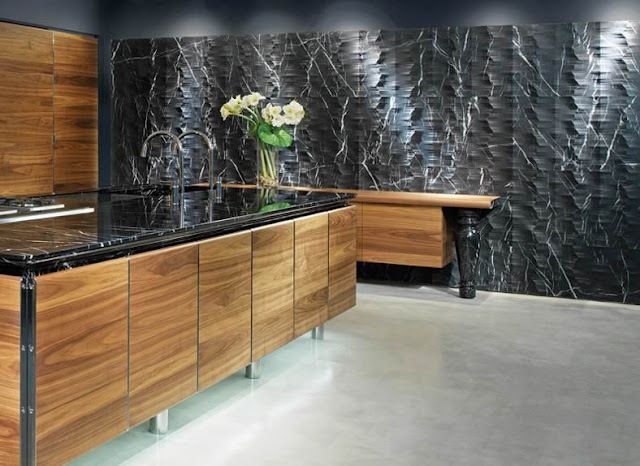 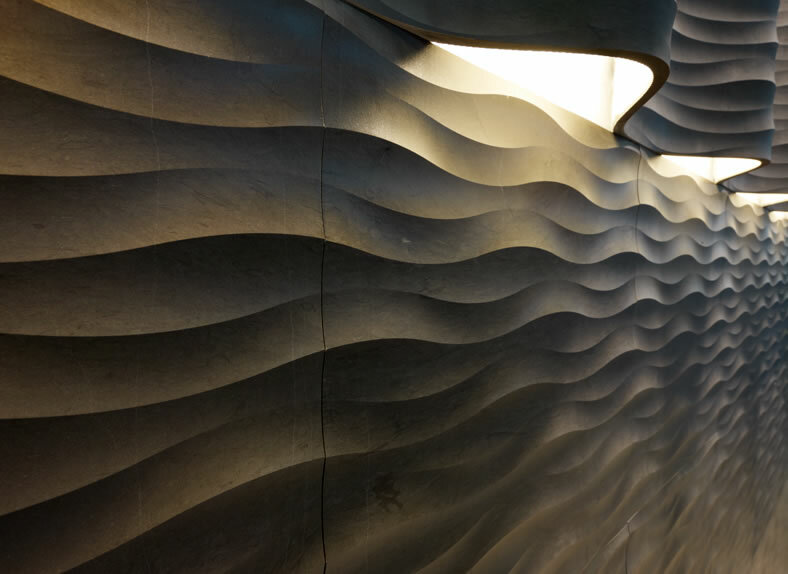 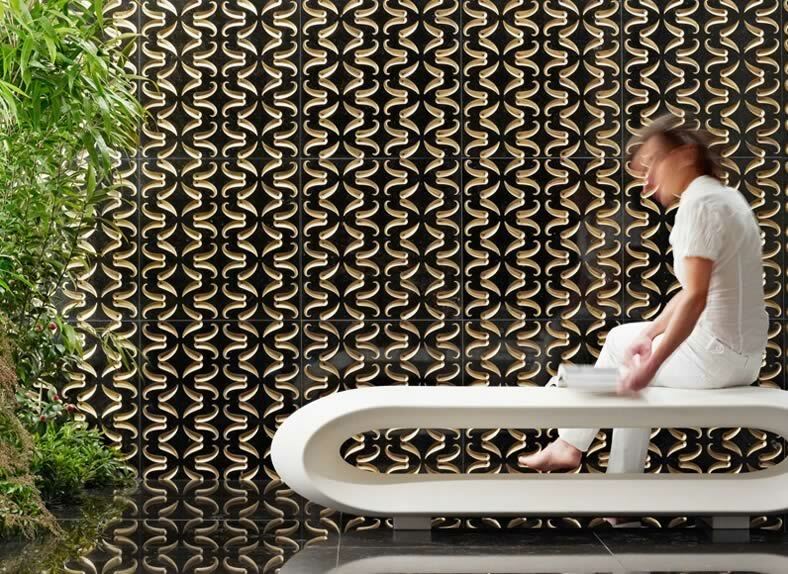 These large-scale, touchable tiles come in flat and curved models. These tiles can accommodate integrated wall lighting and are available in three natural stone finishes. 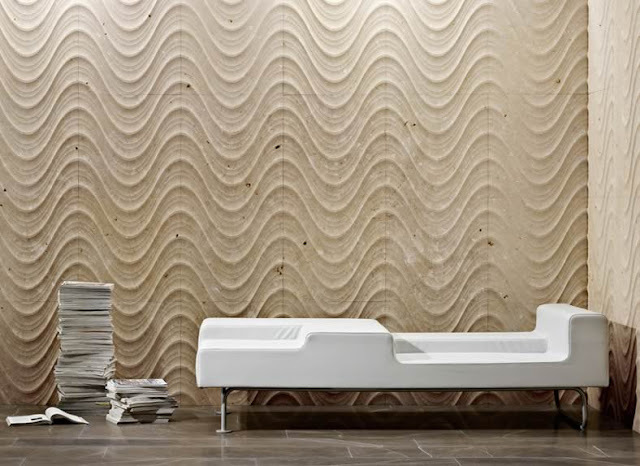 Below are some other wall designs by Lithos. 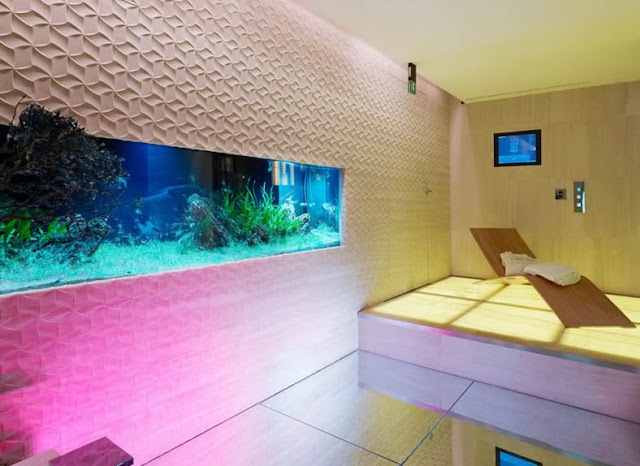 These futuristic tiles bring a modern yet earthy aesthetic to any wall. 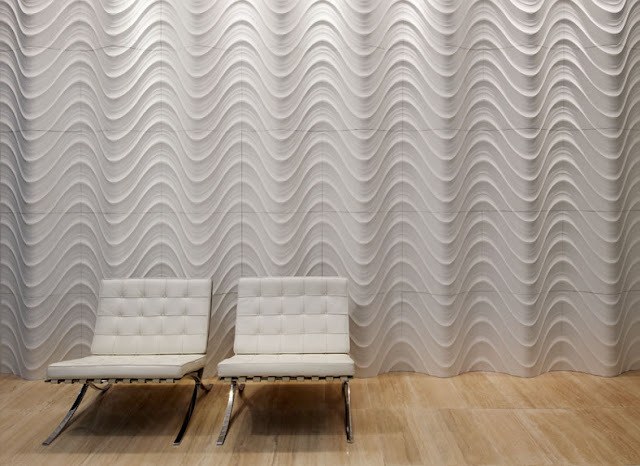 Do you think these wall patterns would add a unique look to a home? 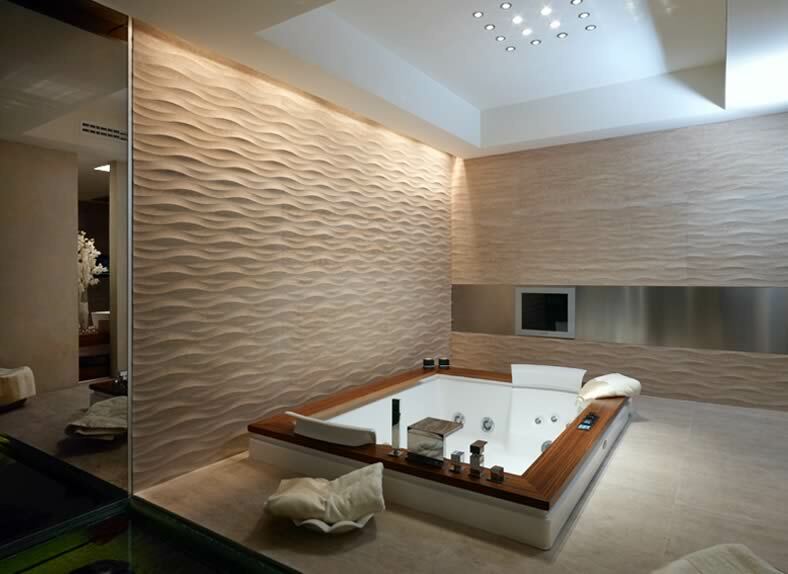 If so, where would you put them in your home?